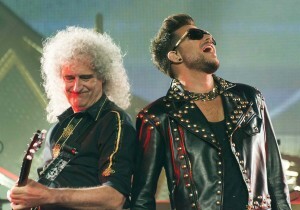 Vote for Queen + Adam Lambert as Best Tour 2014! You are here: Home / More Featured Posts / Vote for Queen + Adam Lambert as Best Tour 2014! Attention Glamberts! Let your voice be heard! Vote Queen + Adam Lambert as the Best Tour for 2014!! You’ve all seen it – whether it was live or online. And you KNOW every concert was the best ever! Voting is open until February 3, 9 AM PT. You can vote once an hour. I leave it open in my cell phone browser, keep checking back at least 60 minutes later, and vote again. Vote here. Queen + Adam Lambert are in the lead, but just by a small margin. The only tour challenging Queen + Adam Lambert is Foreigner/Styx/Don Felder. Let your voices ring out! We’re doing it! Our lead is increasing! Keep it up Glambs! I just voted again…PLEASE EVERYONE VOTE! so far Queen & Adam are ahead! That was super easy and a no-brainer! I have been voting for at least a month when I can.